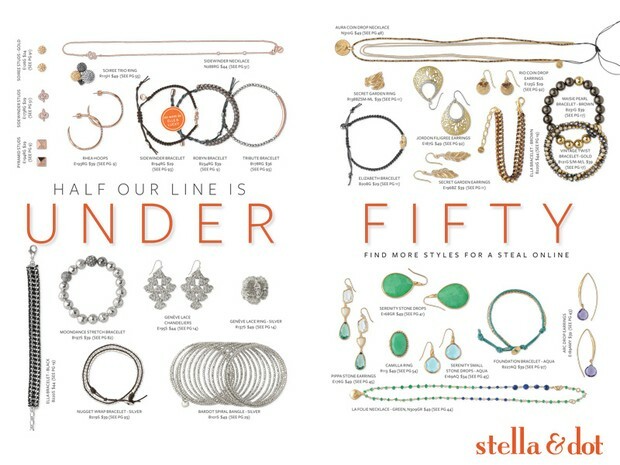 ONLINE STELLA & DOT TRUNK SHOW! Where: from the comforts of your own home, ONLINE! This is an online trunk show so that friends and family near and far can participate! Our boutique-style jewelry and accessories line is available exclusively through in-home Trunk Shows by Independent Stylists and online. Our one of a kind collections are designed by celebrated New York designers and featured in Gossip Girl, In Style and Lucky Magazine as well as on the wrists and necklines of today's hottest celebrities. 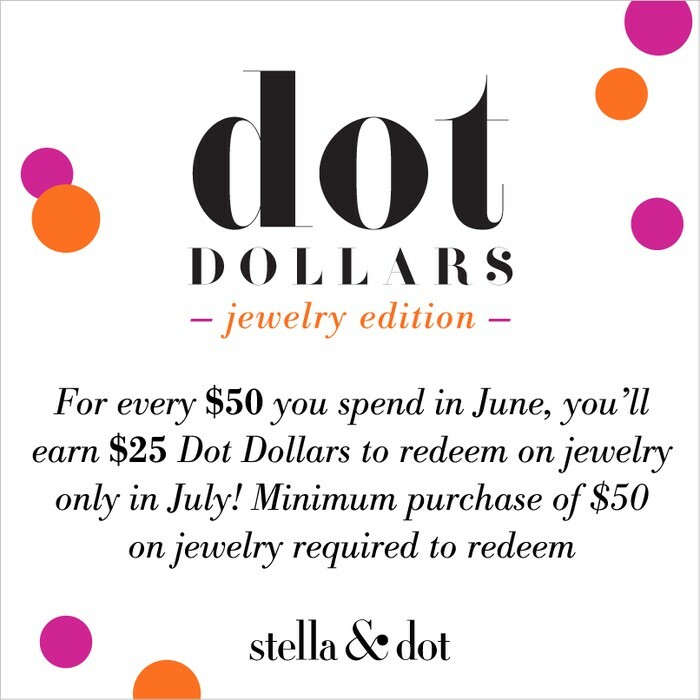 Earn $25 in Dot Dollars for every $50 you spend in June. 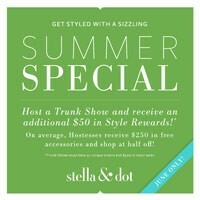 Then redeem your Dot Dollars During July 3-11!! Half our line is less than $50! Let's have a trunk show! Hostess gets an additional $50 in Style Rewards! 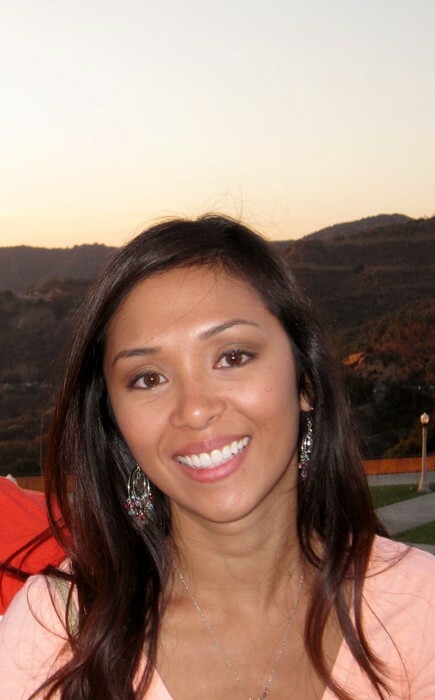 Meet your Stella & Dot Stylist!